Software: NetEnt, NYX, Evolution Gaming, Leander Games, Habanero, and Stakelogic. 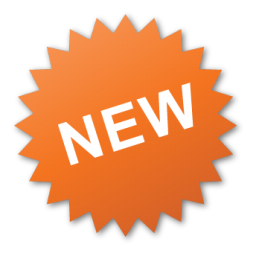 Games Available: Over 200 games, including: Video slots, Video poker, Blackjack, Roulette, and Classic slots. Fantasino Casino is a NetEnt casino that is operated by EveryMatrix N.V. and is licensed in Curacao. The casino has a fantasy theme where you get to play your character, also known as a Trebol. Earn tokens to unlock items to dress your Trebol with an endless array of accessories. Some accessories are special, such as potions or protective shields. Completing various quests also allows you to advance to higher levels, thereby unlocking different worlds that your Trebol can embark upon. 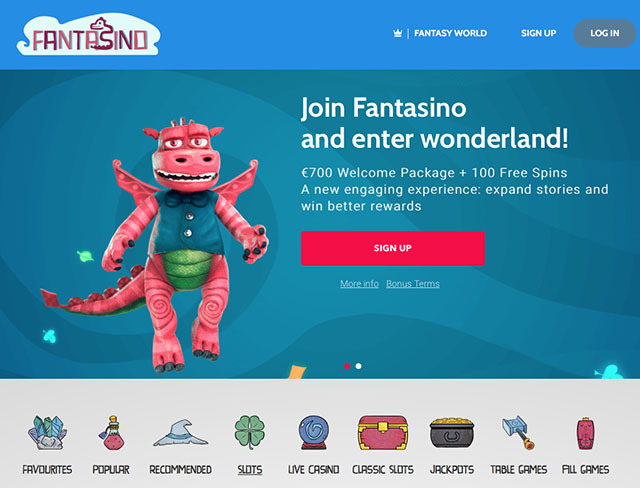 Fantasino Casino has games from the following casino software developers: NetEnt, NYX, Evolution Gaming, Leander Games, Habanero, and Stakelogic. The wagering requirement for the Welcome bonus is 30 times (bonus + deposit). 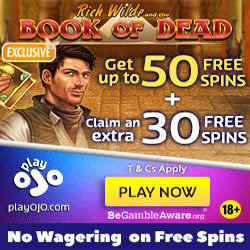 Free spins winnings carry a 30x wagering requirement. 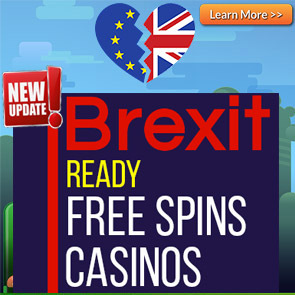 Free spins are only valid for 24 hours, once this time lapses, players can no longer claim them. 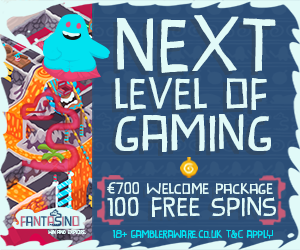 You must deposit a minimum of €20 to claim the Welcome bonus offers. The following games do not contribute to wagering requirements when bonus money is used: All Jackpot games, Jackpot 6000, Mega Joker, Aliens, Koi Princess, Blood Suckers, Dead or Alive, Double Dragons, Kings of Chicago, Dr. Jekyll & Mr. Hyde, 1429 Uncharted Seas, Game of Thrones (15 lines), Spring Break, Ladies Nite, Eye of the Kraken, Tower Quest, Lucky Angler, Big Bang, Forsaken Kingdom, The Wish Master, Scrooge, Devil’s Delight, Champion of the Track, Super Nudge 6000, Robin Hood – Shifting Riches, Pearls of India, , Peek-a-Boo, Royal Masquerade, Tomb Raider, Tomb Raider 2, Castle Builder, Untamed Bengal Tiger, Untamed Giant Panda, Untamed Wolf Pack, Untamed Crowned Eagle, Loaded, Thunderstruck, Egyptian Heroes™, Wild Turkey, Lights, South Park™ and Jack and the Beanstalk. The deposit options at Fantasino Casino are: Neteller, Visa, Mastercard, Ecopayz, Euteller, Zimpler, Trustly, and Skrill. There are different cash out times depending on the withdrawal method selected. You can deposit using the following currencies: EUR, AUD, CAD, NOK, GBP, SEK, and USD. English, German, Norwegian, Finnish, and Swedish. Bangladesh, Belarus, Bosnia & Herzegovina, Bulgaria, China, Croatia, Czech Republic, Estonia, Georgia, Greece, Hungary, India, Indonesia, Ireland, Italy, Kazakhstan, Latvia, Lithuania, Malaysia, Mauritius, Moldova, Mongolia, Nigeria, Pakistan, Philippines, Poland, Portugal, Romania, Russia, Slovakia, Slovenia, Spain, Thailand, Turkey, Ukraine, USA & Vietnam.